Please refer to our stock # P10 when inquiring. 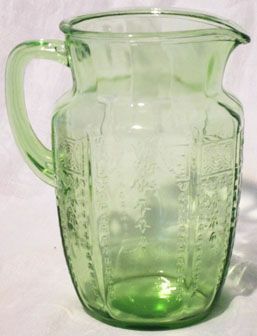 Hocking green depression glass water pitcher in the Princess pattern was made from 1931-34. This one is about 8" tall and in mint condition.